Gov. Rick Scott called the special election following the August resignation of RepublicanDan Raulerson, who stepped down because of health reasons. Four candidates are on the ballot: Republican Lawrence McClure, Democrat Jose Vazquez, Libertarian Bryan Zemina and non-party-affiliated Ahmad Saadaldin. Lawrence McClure, Republican consensus favorite for House District 58. McClure, a Dover business owner, has been the consensus favorite to keep the seat in Republican control following his relatively easy victory over Yvonne Fry in a contentious GOP primary back in October. He’s crushed his other three opponents in fundraising in the special election campaign, taking in more than $217,000. Vazquez, a Puerto Rican native, has run for local office several times over the past few years without success. He has raised only $4,677. Saadaldin raised $19,876 in his campaign, while Zemina received $10,728. HD 58 includes parts of Temple Terrace and Brandon, as well as all of Plant City, Thonotosassa and Dover. More than 10,000 people have already voted in the race, either by mail or in early voting. Of those, 4,618 were registered Republicans, 4,332 registered Democrats, and 1,461 non-party-affiliated voters. “McClure dominates fundraising in special election” via the News Service of Florida — McClure raised $69,265 from Nov. 7 through Thursday, bringing his overall total to $217,250 … McClure raised and spent part of the total in winning a primary election, but his fundraising still far outdistanced any of his competitors. Democrat Vazquez raised $2,770 from Nov. 7through Thursday, bringing his overall total to $4,677, a new report shows. Unaffiliated candidate Saadaldin raised $8,217 during the most-recent period and had raised an overall total of $19,876. Meanwhile, Libertarian Zemina raised $3,406 and had an overall total of $10,728. In both Virginia and Alabama, analysts are pointing to the effectiveness of women’s votes. Don’t think Democratic gubernatorial candidate Graham hasn’t noticed. During one of her well-known workdays Monday, the former congresswoman went into detail on the effects of the #MeToo movement and the power of activating women voters. Gender, Graham said, brings with it a different kind of leadership. Gwen Graham talks about being a female candidate in the age of #MeToo. 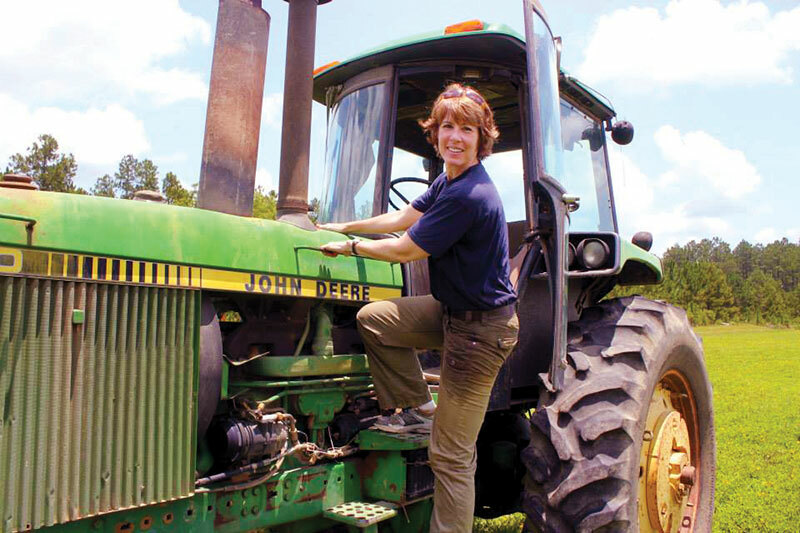 She considers being a woman an advantage in the race, where she faces the all-male primary field of Phillip Levine, Andrew Gillum and Chris King, with Agriculture Commissioner AdamPutnam and other potential candidates waiting on the Republican side. — Graham said she’s capturing bipartisan support because women are engaged. “I go all over the state, and I have women say, ‘I’m a Republican, and I can’t wait to vote for you,’” Graham said. — A shift in balance? : “I think one of the things that’s important about the #MeToo issue is the recognition of imbalance of power. And why it’s so important we elect more women into leadership positions. I think women bring a different leadership approach than men,” Graham said. — But can her identity topple deep pockets? Levine, the newest major candidate, has shown early robust fundraising and already is using his money to run television commercials to expand his name recognition within and beyond South Florida. “Jay Fant’s Donald Trump ‘supporters’ say what?” via Dara Kam of the News Service of Florida — Fant’s camp brought out the knives last week in an apparent effort to slow down the momentum Ashley Moody appears to be gaining in the GOP contest for attorney general. Fant’s campaign, guided by longtime Scott adviser Melissa Stone, then announced that Fant had received “endorsements from Trump campaign county chairs that were instrumental in President Donald Trump’s 2016 win.” Just one problem: Some of the folks on the list haven’t endorsed Fant. Carolyn Otworth, the Clay County chair of the Trump Club, said her name was included on the list without her approval. In an email, Stone said this about the Otworth situation: “After several conversations, she asked not be included on the list at this time. We will update the list to remove her while adding additional endorsements coming in.” But Otworth maintained she had never permitted her name to be included in the endorsement roundup. 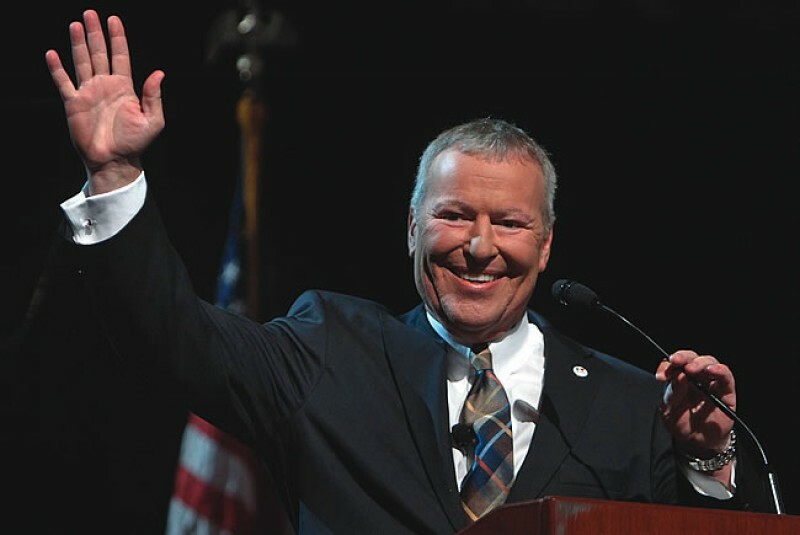 Buddy Dyer is the latest Democrat to support Jeremy Ring for CFO. Debbie Wasserman Schultz endorses Debbie Mucarsel-Powell for CD 26 — “Debbie has spent her career working to expand health care access to underserved communities in Miami. I’ve gotten to know Debbie over the past several years, and I’ve seen how well she understands firsthand, as an immigrant and a mother, the realities so many South Florida families are facing,” said Wasserman Schultz. “From fighting climate change to building an economy that puts the people first, Debbie has a bold vision for our future and will be a strong voice on behalf of the South Florida community.” Wasserman Schultz joins Congresswoman Lois Frankel, EMILY’s List and 15 South Florida elected officials in endorsing Mucarsel-Powell’s campaign for Congress. First in Sunburn – “Lori Berman crosses $325K raised for SD 31 special election” via Florida Politics — Lantana Democrat Lori Berman has brought in some serious cash for her bid to take over for former Sen. Jeff Clemens in Palm Beach County-based Senate District 31. The fourth term representative had already shown $177,504 raised in October but her next report, due Tuesday, will show another $81,881 in campaign cash and $66,500 raised for her political committee. Those numbers put her far ahead of her her challengers, fellow Democrat Arthur Morrison and Republican Tami Donnally. Morrison showed a $10,040 loan to his campaign and no contributions in his first report, which left him with about $7,645 in the bank after spending, while Donnally reports raising $6,131 and spending $2,728, putting her at $3,403 cash on hand. Save the date — Tampa Republican Sen. Dana Young will be fundraising Monday, Jan. 8, beginning 4 p.m. at the Governors Club Capital Room, 202 S. Adams St. in Tallahassee. “Democrat challenges Bob Cortes in HD 30” via Scott Powers of Florida Politics — Democrat Clark Anderson has filed against Republican Rep. Cortes for his seat in 2018. 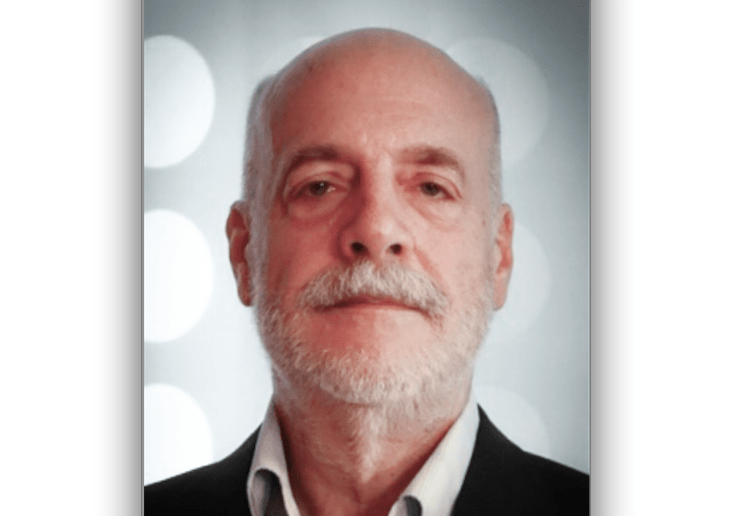 Anderson has spent much of his life and career in computers, specifically in cybersecurity for government contractors that have, among other things, sent him to Afghanistan for two years during the 2010 U.S. military surge there. His mother, the late Joan G. Anderson, was a fixture for decades in Illinois politics, holding various offices in and around Chicago and the capital in Springfield. Clark Anderson is following his mother’s footsteps, seeking HD 30 seat. “Hotel taxes — not just for tourism anymore?” via Dan Sweeney of the South Florida Sun-Sentinel — Tourist tax dollars could pay for roads, sewers and other projects under a bill under debate in the Florida Legislature. Currently, taxes on hotel rooms must go to tourism marketing or projects directly related to attracting tourists, such as beach renourishment or facilities such as aquariums and convention centers. Under the proposal, the tax could be used projects that would help tourism-related business. “You can use the tax money to build a convention center, but you can’t use it to build a road to the convention center,” said state Rep. Randy Fine, who sponsored the House version. “You can improve a beach, but you can’t build a bike path to the beach.” Fine pointed to Brevard County, which he says used tourist tax dollars to build a kayak ramp on the Indian River Lagoon even as 19 million gallons of sewage was spilling into the water. Under Fine’s legislation, that money could be spent preventing such spills. “Assisted living group challenges generator rule” via Christine Sexton of the News Service of Florida — Attorneys for the Florida Senior Living Association filed a petition in state administrative court arguing that the Florida Department of Elder Affairs overstepped its legislative authority and that the new proposed rule puts requirements on assisted-living facilities that are not authorized in state law. The Florida Senior Living Association, formerly known as Florida Argentum, also argues in the petition that the proposed rule is vague. The group represents more than 350 assisted living facilities across the state. “The proposed rule is impermissibly vague as evidenced by DOEA’s (the Department of Elder Affairs’) inability to answer fundamental questions relating to standards it intends to enforce should the proposed rule go into effect,” one part of the petition says. The proposed rule closely tracks an emergency rule the Department of Elder Affairs issued in September following Hurricane Irma. That provision and one released by Agency for Health Care Administration that affects nursing homes were invalidated in October after a trio of industry groups, including The Florida Senior Living Association, challenged them. 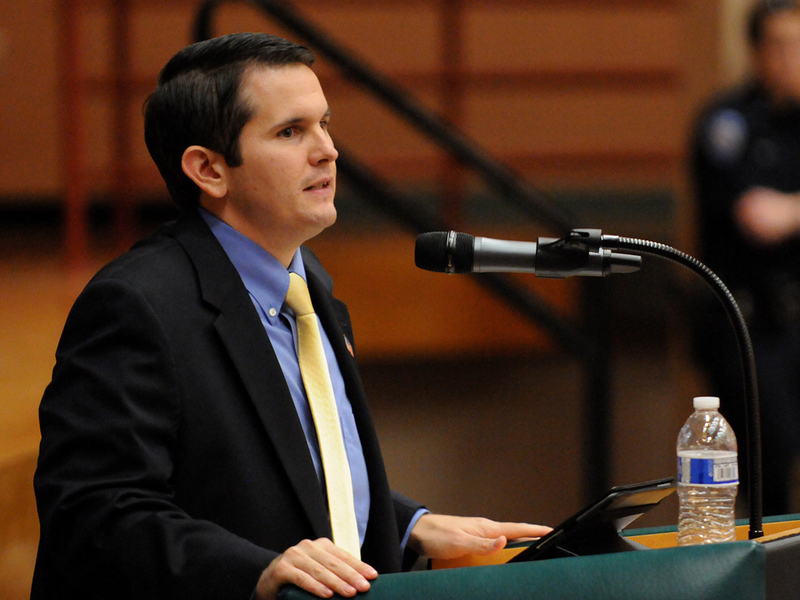 Jason Fischer, a former Duval School Board member, is seeking term limits for those serving on school boards. “School board term limits proposed in Legislature” via the News Service of Florida — The proposal (HJR 1031), filed by Rep. Jason Fischer comes as the state Constitution Revision Commission also considers placing a school-board term limit proposal on the November 2018 ballot. Both proposals, which would need voter approval, would limit school board members to two four-year terms. Fischer’s plan is identical to one (SJR 194) that Sen. Greg Steube filed in August. On this week’s edition of The Rotunda — In the latest episode of The Rotunda, Trimmel Gomes takes a closer look at one of the near 900 proposals before the Constitution Revision Commission. Voters could soon decide on a plan by Rep. Jeanette Nunez, House Speaker Pro Tempore, on whether to divert money from anti-tobacco marketing campaigns to the research and treatment of cancer. However, the proposal is facing opposition from public health experts and groups like the American Cancer Society and Students Working Against Tobacco. Gomes discusses the issue with Matt Jordan, government relations director, American Cancer Society Cancer Action Network. What the Governor’s Office is reading: “Florida tops in nation on infrastructure” via Ledyard King of News-Press.com — The analysis by 24/7 Wall St, a financial reporting firm, puts the Sunshine State at the top of the heap based on its review of federal records on the conditions of roads, bridges, dams. It also looked at how much each state prioritizes highway spending. Here’s what the report, dubbed “States That Are Falling apart,” concluded about Florida: 3.2 percent of the state’s roads are in poor condition (3rd best in the U.S.); 2.1 percent of its bridges are rated as deficient (also 3rd best); 6.3 percent of the state’s dams are considered at “high hazard risk” (9th best overall); 8.7 percent of Florida’s total government spending is spent on highways (only seven states paid more as a percentage). “Legislative economist – again – tosses cold water on Scott’s rosy economic narrative” via Matt Dixon of POLITICO Florida – Though she does not mention Scott directly, Baker’s main takeaway has been that the economic rebound orchestrated since Scott took office in 2011 is characterized by a decreasing unemployment rate but lacking in producing coveted, high-paying manufacturing jobs. The latest instance of Baker’s analysis tossing cold water on Scott’s economic optimism came last week during a meeting to discuss numbers related to the Temporary Assistance for Needy Families and low-income food assistance programs. Baker noted the state’s low 3.9 percent unemployment rate is in large part due to the growth of low-wage hospitality jobs — not the housing boom-driven manufacturing jobs that boosted the state’s economy when the unemployment rate bottomed this low in the mid-2000s. “This unemployment rate compared to the last time we saw this unemployment rate as part of the housing boom are not economically the same thing,” she said. “Rick Scott discusses storm relief with Paul Ryan, Greg Abbott” via the News Service of Florida — Scott tweeted that his calls with Texas Gov. Abbott and U.S. House Speaker Ryan included talk of hurricane relief. “I spoke with @GovAbbott this morning about the ongoing recovery in FL and TX from Hurricanes Irma and Harvey,” Scott tweeted. “We will fight for our states to ensure a full recovery.” Additionally, Scott tweeted, “I also spoke with @SpeakerRyan today to urge him to have Congress act swiftly in approving funding for FL citrus growers to fully recover from Irma. I’m not going to stop fighting for our iconic citrus industry.” A $44 billion disaster-relief package introduced last month by the White House may go before Congress this week or be delayed until January, but state Agriculture Commissioner Putnam and members of Florida’s congressional delegation have expressed concern the funding leaves Florida short. Freedom talk: Gov. Rick Scott hosted a roundtable Monday to discuss Florida’s “continued efforts to support freedom and democracy in Venezuela.” Scott has proposed legislation to prohibit state investment in any company that is doing business with Venezuelan dictator Nicolas Maduro’s government. “Irma insurance claims near 866,000 as pace slows” via Jim Turner of the News Service of Florida – Estimated insured losses from Hurricane Irma have topped $6.55 billion, according to information by the state Office of Insurance Regulation. The latest report showed that 865,974 claims from the September storm had been filed with insurance companies as of Friday, with 719,512 involving residential properties. While people have several years to file claims, the numbers indicate a slowing in reported damages, as numbers posted by the state office Dec. 4 showed 853,356 claims with estimated losses of $6.3 billion. Lynne McChristian, spokeswoman for the Insurance Information Institute, said Irma could have been “much worse” for homeowners and the industry … state-backed Citizens Property Insurance reported last week it had received 63,500 claims from Irma. Most were in Miami-Dade, Broward and Monroe counties. Citizens anticipated its number of Irma claims will grow to 70,000, with $1.2 billion in damages, over the next year. “Pam Bondi says firefighter charity is a fraud” via Florida Politics — Attorney General Bondion Monday filed a complaint seeking to shut down a Florida charity falsely claiming to use charitable donations to provide financial support to families of firefighters lost in the line of duty, according to a news release. Community Charity Advancement, Inc. (CCAI) also is accused of falsely claiming to use donations to provide assistance to breast cancer research organizations and breast cancer patients … According to the complaint, CCAI’s deceptive acts and practices mislead generous donors. “It is absolutely abhorrent to exploit families of fallen firefighters and breast cancer patients to steal from generous Floridians,” Bondi said in a statement. “Florida juvenile justice said it would weed out bad hires. How did this guy slip through?” via Carol Marbin Miller of the Miami Herald — It took just two months for Chris W. Jeffriesto get into trouble at his new job as a counselor for delinquent teens with drug or behavior problems … Administrators at the Broward Youth Treatment Center hired him Oct. 9, despite an ominous sign that Jeffries might have an anger management problem — just like many of the kids he’d be supervising. In June 2016, police say, he pulled a gun on his roommate and threatened to kill her after she demanded that he move out of the home they shared. Jeffries’ roommate later changed her mind and declined to cooperate with prosecutors, who dropped the case. It’s the exact sort of red flag that is supposed to trigger an alarm under a stringent new hiring policy designed to weed out youth workers with the kind of criminal backgrounds or unsavory work histories likely to render them unfit to work with hard-to-manage teenagers. But there’s a hole in the state’s new policy: While the beefed-up screening governs how DJJ hires officers for its 21 detention centers, it holds no sway over the private contractors who run the state’s 53 residential programs for youths already adjudicated delinquent. The Broward Youth Treatment Center is one such facility. 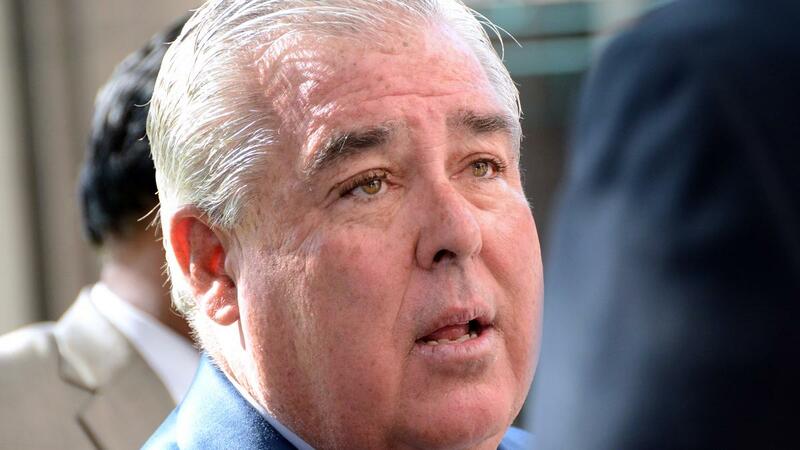 John Morgan’s lawsuit on smokable medical marijuana will soon get its day in court. Happening tomorrow — Knox Medical to preview the grand opening of its St. Petersburg dispensary beginning 10 a.m. at the Knox Medical Dispensary at 601 34th St. N in St. Petersburg. “Two Martin County commissioners, one former commissioner face public-records law trials in 2018” via George Andreassi of TCPalm.com – Two Martin County commissioners and a former commissioner will face trial next year on charges they violated the state public-records law … County Judge Curtis Disque set a Feb. 19 trial date for Commissioner Sarah Heard on a non-criminal infraction of failure of a public official to respond to a public-records request. He set a Dec. 10 trial date for Commissioner Ed Fielding and former Commissioner Anne Scott on two misdemeanor charges each of failure of a public official to permit inspection and copying of public records. Their cases stem from the county’s long-running civil lawsuit with Lake Point Restoration rock quarry and allegations that county commissioners destroyed or failed to produce emails pertinent to the case. “Grand jury to question partygoers in FSU pledge’s death” via Karl Etters of the Tallahassee Democrat — Dozens of Florida State students crowded the hallways of the Leon County courthouse, each waiting their turn to be questioned before a grand jury investigating the death of a fraternity pledge … the grand jury will examine the circumstances surrounding the Nov. 3 death of Pi Kappa Phi fraternity pledge Andrew Coffey. Prosecutors, who are working to determine if criminal charges are appropriate following the 20-year-old’s death at an off-campus party, will question about 50 people. Dozens of attorneys accompanied students in two third-floor courtrooms. Tallahassee attorney John Leace said it was difficult to make sense of the volume of testimony expected to be given over two days, but it was likely prosecutors were trying to establish a solid timeline of events that led to Coffey’s death. “Florida nonprofits receive $286k in grants” via Ana Ceballos of Florida Politics – The top agency for volunteerism in the state is awarding $286,000 in federal funding to 22 nonprofits and service organizations across the state. “Our grantees will put volunteers to work providing education opportunities, helping job-seekers find employment, and teaching financial literacy, work readiness and entrepreneurship to Floridians,” said Vivian Myrtetus, the CEO for Volunteer Florida. Each organization is set to receive a $13,000 grant, which they will match with local investments. The money is expected to help the organizations get skills-based volunteers to better serve their communities. Assignment editors – Conference call to release “Ready or Not? Protecting the Public from Diseases, Disasters and Bioterrorism” from the Trust for America’s Health, which includes a report card for how states scored on 10 indicators of high priority areas and concerns, such as vaccination rates, climate change readiness, public health funding and more. Call begins 11 a.m. at 1-877-879-6203; use passcode 2086176. “Did President Trump break a promise to Florida’s Haitian population?” via Allison Graves of the Tampa Bay Times — “Whether you vote for me or you don’t vote for me, I really want to be your greatest champion, and I will be your champion,” Trump said at the Little Haiti Cultural Center. Flash-forward more than a year later: Trump ordered almost 60,000 Haitians — many of them from Florida — to leave the United States or adjust their immigration status by July 2019. The Trump administration’s Nov. 20 decision came after a review of the Temporary Protected Status for Haitians who arrived after the 2010 earthquake. We can’t say whether Trump “lied” … Trump never explicitly promised to extend the TPS designation for Haitians, but according to those in the community, Trump’s words that September day meant he would defend Haitians’ interests. The Trump administration has defended its decision by pointing to the obvious feature of the status: it’s temporary. “Stephanie Murphy decries ‘disconnect’ between Donald Trump’s foreign policy statement, actions” via Scott Powers of Florida Politics – Murphy and other leaders of the U.S. House Democratic Caucus’ National Security Task Force declared a “disconnect” between what Trump is doing in foreign policy and what his long-awaited foreign policy statement holds. Murphy, who co-chairs that task force along with Democratic Reps. Seth Moulton of Massachusetts and Jimmy Panetta of California, decried that Trump’s foreign policy statement’s commitment to diplomacy in world affairs rings hollow, and that, “important partners in Europe and Asia have cause to question the U.S. commitment to our shared security. It is no surprise that confidence in U.S. leadership has fallen sharply among our closest allies.” Those comments came in a news release that she, Moulton, and Panetta issued in response to the president’s National Security Strategy statement sent to Congress, a document required by law to have been presented last spring, and which the task force has been publicly demanding since June. “Marco Rubio takes victory lap after child tax credit fight” via Alex Leary of the Tampa Bay Times — “For two weeks, Republican Sen. Rubio fumed that his party rejected his efforts to steer more money to low-income families in the GOP tax plan by making a child tax credit more accessible,” read the beginning of a Wall Street Journal story. “Mr. Rubio got something for his anger.” The New York Times called Rubio, “a longtime champion of the working class.” Critics and advocates for the working class said the moves, while better than nothing, are inadequate and that many families would still get scant benefit. While that debate will continue — Tampa child advocates will hold a protest over the tax legislation and Rubio’s support for it — the Florida Republican achieved a political win. The tax legislation was always going to favor the wealthy and corporations. 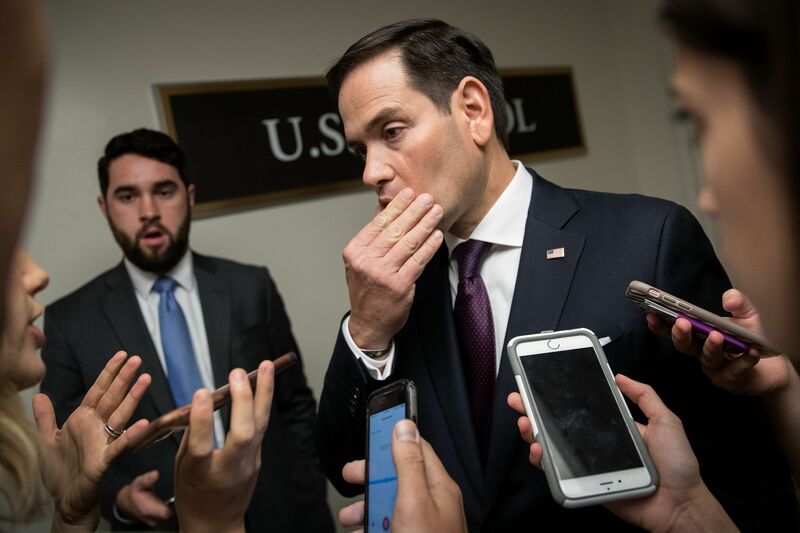 Rubio focused on the child tax credit, starting in 2015, allowing him to champion everyday people — once again reminding Americans of his working-class parents — and created distance between himself and other Republicans. 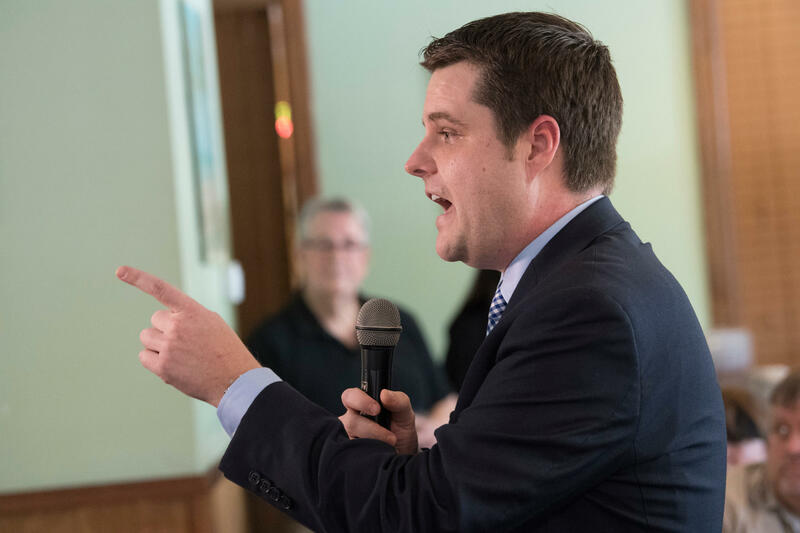 Matt Gaetz is everywhere – The North Florida Republican will appear on TV starting 1:20 p.m. on MSNBC Live with Craig Melvin for MSNBC; 2:05 p.m. on Intelligence Report with Trish Regan for Fox Business and 4:30 p.m. on Your World with Neil Cavuto for Fox News. Before that, Gaetz will be on radio starting 8:30 a.m. with Greg Penglis on 1330 WEBY; 11:06 a.m. on the Alan Nathan Show (Syndicated – 200 radio station, including WEBY AM, Pensacola) and 12:30 p.m. on Fox News Radio with Todd Starnes (Nationally Syndicated – 400 Stations, including WNRP 1620AM Pensacola). Matt Gaetz seems to be everywhere. Spotted: The conservative Foundation for Accountability and Civic Trust (FACT) released the group’s top five ethics violators of 2017, including Florida’s own Debbie Wasserman Schultzand Alcee Hastings, both Congressional Democrats. Want to find out why? Click here. Meanwhile … “Federal judge recuses himself from David Rivera campaign cash lawsuit” via Matt Dixon of POLITICO Florida – Former GOP Rep. Rivera won the latest of his public battles with U.S. District Judge Robert Scola as the veteran jurist recused himself from presiding over Rivera’s ongoing legal fight with the Federal Election Commission. Scola’s decision came one day after Rivera filed a motion in Miami federal court asking for his recusal because of comments the judge made questioning Rivera’s manhood in a related 2014 case. “Because the integrity of the judicial process is implicated when an appearance of impropriety may exist, the court concludes that recusal is appropriate,” read a Scola-signed order. The case has been reassigned to U.S. District Judge Marcia Cooke, who was appointed by former President George W. Bush in 2003. “Ashton Hayward: residents, tourists alike can benefit from sharing economy” via Florida Politics – For both our community, and our state, a major priority is to not only maintain the current levels of tourism we enjoy, but to attract even more visitors. One key step we can take is to embrace the sharing economy: empowering middle-class residents in Pensacola and elsewhere to provide transportation options through Uber or Lyft or alternative lodging through Airbnb, HomeAway or Vacation Rental By Owner (VRBO). By leveraging these exciting new opportunities, which travelers and Florida residents alike clearly love and want, we can make our state an even more appealing destination for both tourism and investment. In Pensacola, I’ve focused on making our city as welcoming as possible to residents who wish to share their homes as short-term rentals. With Airbnb alone, over 300 people in our community share their homes with travelers. In the past year, these local residents welcomed over 25,000 guests and earned $3 million in the process. In turn, these guests spend money at our local restaurants, shops and attractions. I also urge my fellow mayors across the state to consider looking for ways to work with the short-term rental industry, because it ultimately helps bring visitors to our diverse and beautiful communities, infusing cash into the economy and creating jobs for Floridians. “Personnel note: Miami Herald’s Elizabeth Koh to cover Legislature” via Florida Politics — The Miami Herald has promoted one of its regional government reporters in South Florida to cover the state Legislature in Tallahassee. Koh, a 24-year-old Brown University graduate, started working at the Herald in May and has written stories ranging from a Puerto Rican baby stuck in medical limbo after Hurricane Irma, to the recent passage of an anti-Semitism ordinance that gives officers in Bal Harbour Village more power to investigate hate crimes. She will now cover policy and politics for the Herald, starting on Jan. 4 – five days before Session begins. She fills the spot left vacant by Kristen M. Clark, who departed the Tallahassee bureau in mid-October. “Santa letter company in Sarasota on customers’ naughty list after several complaints” via Jarrod Holbrook of WFTS – Customers say two local men aren’t always delivering on the Christmas gifts they bought for their children. We tried talking to Bill Michelon, owner of Holiday Printables, a Sarasota based company. Michelon snubbed the handshake and walked away. While his house is decorated for the holidays and exemplifies the Christmas spirit, his customers say he’s certainly not delivering it…literally! “I would say they’re horrible,” one customer tells us. They’re all waiting on Santa products they ordered, including a letter from Santa, reindeer food, and fake snow from the North Pole. … Dale and Carie Gruber own Packagefromsanta.com, a company delivering Santa letters and products based outside of Detroit. It’s their 11th season. They have an A+ rating and accreditation from the BBB. Dale tells us the two Sarasota businessmen have been stealing their videos and pictures they produced and are passing it off as their own. “What they’re doing is wrong and it needs to stop. I say stop … in fact we told them to stop from a legal standpoint,” says Dale. Dale and Carie tell us their company has been negatively impacted by Holiday Printables. “Florida gas prices back to pre-Hurricane Harvey levels” via the Tampa Bay Times — Tampa Bay gas hit $2.30 per gallon today, while state prices averaged $2.37 per gallon, according to AAA, The Auto Club Group. “Gulf Coast refineries have completely recovered from the effects of Hurricane Harvey, and are now flooding the market with fuel in anticipation of strong demand during the year-end holidays,” Mark Jenkins, spokesperson for AAA, said in a release. Nationally, gas prices were $2.43 per gallon. GasBuddy.com, a gas price tracker, expects gas prices to remain relatively low as long as demand for gas continues to stay down. SpaceX Dragon supply ship docks at the international space station. “SpaceX capsule back at space station with pre-Christmas haul” via Marcia Dunn of The Associated Press — NASA astronauts used the space station’s big robot arm to grab the Dragon capsule out of orbit Sunday. “It’s a great day to see Dragon back at ISS again,” Mission Control radioed. SpaceX launched the Dragon from Cape Canaveral … using a previously flown Falcon rocket. It was the first time SpaceX had flown a recycled rocket with a recycled capsule on top, at the heart of the company’s effort to drive down launch costs. 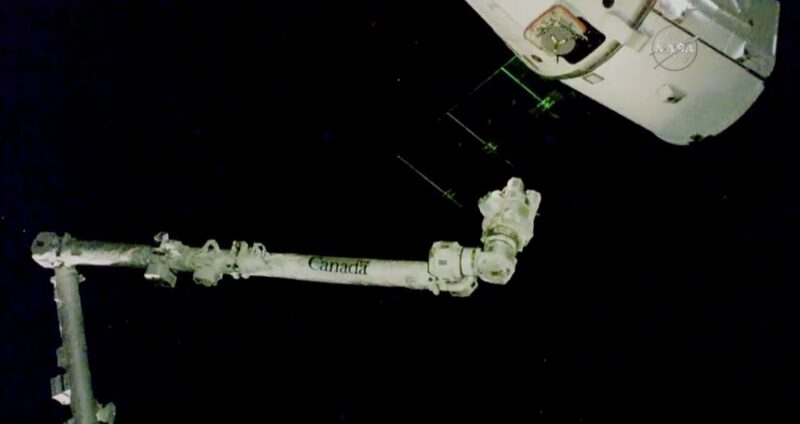 The Dragon holds nearly 5,000 pounds of station goods, including lab mice and barley seeds, the latter a Budweiser experiment. The beer maker — eager to serve the first brews on Mars — wants to see how well the 20 barley seeds sprout in weightlessness. As for Christmas presents, NASA isn’t saying, in true Santa style. “Trump to debut in Disney’s Hall of Presidents” via Bay News 9 – After nearly a year of renovations, the Hall of Presidents will finally reopen at Disney’s Magic Kingdom and, yes, Trump will speak. Disney says Imagineers updated the show’s content with the latest in theatrical design and animatronic technology, including upgraded projection, sound and lighting. Trump also recorded remarks exclusively for the Hall of Presidents, something every sitting president has done since the 1990s. Disney says the new animatronic of Trump will have smoother, more lifelike movements. President Trump has finally arrived at Walt Disney World. And, yes, he speaks. Happy birthday to great communicator Danielle Alvarez of Mercury LLC and former state House candidate David Singer.